The magic of childhood! 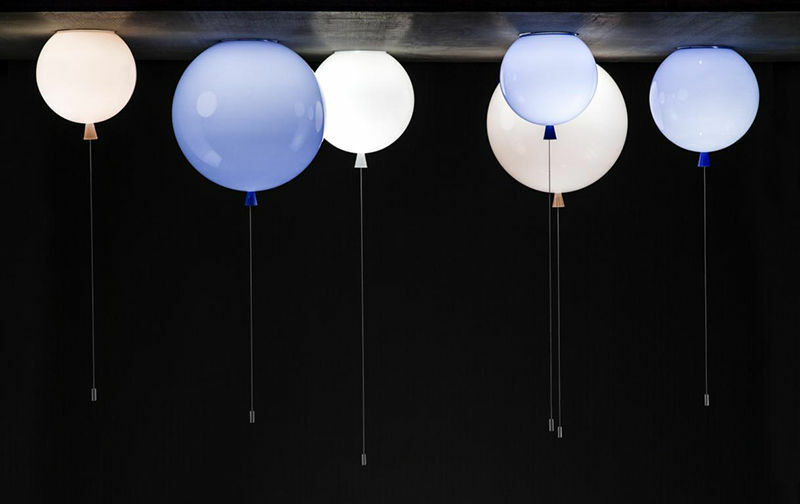 Here, the designer Boris Klimek has used the balloons of our childhood and transformed them into fun and poetic ceiling lights. 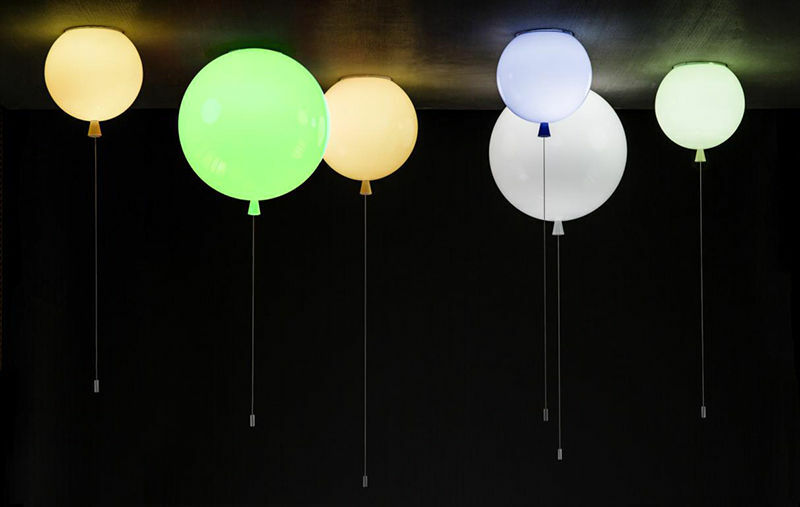 The light, colourful balloons stick to the ceiling, giving the impression of wanting to climb still higher! The illusion is perfect, the resemblance to a real balloon being further accentuated by the fabric cord hanging beneath. This practical cord serves as a pull switch to turn the light on and off. 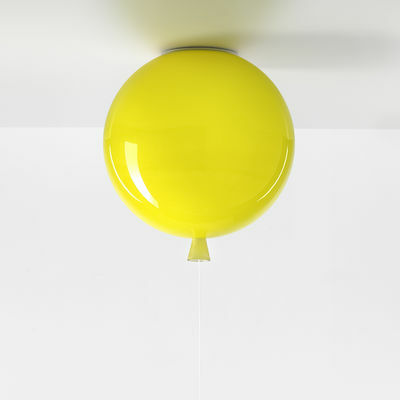 The Memory ceiling light is hand-crafted from mouth blown glass. Born of ancestral know-how, it is created by positioning multiple layers of glass one over the other. Each layer is inspected closely by the master glassmaker before being blown in the mould. This creates a depth, and gives it an intense shine. We love its shape, a shape held dear in all our memories, reworked here with an unexpected material and function. 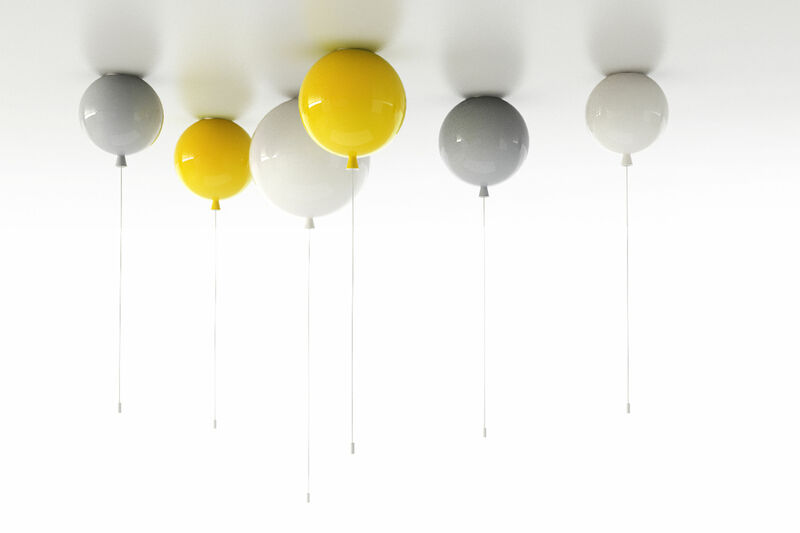 This very entertaining lamp is perfect in a child’s bedroom. It can also be used anywhere else in the home to add an original and unconventional decorative touch. You can use it alone or grouped with others.